The High Priest's garments were unlike any other. 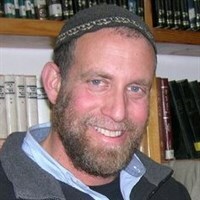 Levi Chazen is the Director of the English Division of Yeshivat HaRa´ayon HaYehudi in Jerusalem. He has been working tirelessly over the years in the yeshiva´s many charitable projects in Jerusalem and nationally. "You shall make garments of sanctity for Aharon your brother, for glory and for splendor." This week's parsha, Tetzaveh, deals with the garments worn by the priests while they were doing their holy work in the Temple. The High Priest's garments were unlike any other types of garments in the world. Eight garments worn by the High Priest were made from techelet, argaman (purple), gold and other materials. A wonder of the world and beauty for all who lay their eyes upon them. More than the physical beauty of the garments, there was also a spiritual gift which the garments of the High Priest possessed. As our rabbis, of blessed memory, teach us, the breastplate, for instance, contained all the names of the twelve tribes, the patriarchs and our four matriarchs; in this way, HaShem would remember His covenant with His people and the accusing angels could not speak against the Jewish people. The blue robe of the High Priest would atone for the sin of lashon hara, "false speech". The golden plate known as the tzitz, worn on the High Priest's forehead, would atone for impurity. In fact, each of the garments, in addition to their extraordinary physical beauty, had spiritual powers of attaining atonement for the Jewish people; so much so that the Talmud tells us that if not for the priestly garments, the Jewish people would not survive. We have seen nations and religions rising up and saying that G-d has abandoned the Jewish people and chosen them. Achashverosh, in the time of Purim, made a feast for 180 days displaying the holy vessels of the Temple and wore the garments of the High Priest himself. More than just wanting to display his greatness by wearing the garments, King Achashverosh also had a hidden agenda. What was well known at the time was the prophecy of Jeremiah that after seventy years following the destruction of the Holy Temple in Jerusalem, the Jewish people would be redeemed and the Temple would be built anew. According to Achashverosh's mistaken calculation, the time had come, the seventy years had passed, and the Jewish people had not been redeemed, which proved the falsehood of the Torah and that G-d had abandoned the Jewish people. It was for this reason that Achashverosh made the massive party, in which the Jewish people partook and at which he wore the garments. Now he could claim that the truth is with him and not with the Jewish people. Throughout history, we have seen nations and religions rising up and saying that G-d has abandoned the Jewish people and chosen them, just like King Achashverosh claimed. They try today to put the priestly garments upon themselves. Both the Christians, with their "New Testament", and the Muslims, with their falsehoods, claim that G-d has abandoned the Jewish people and chose them. They try to wear the garments, but no matter how they put them on - they do not fit. As history plays itself out in our time, all are claiming the garments for themselves; all will turn against the Jewish people in order to claim the royal garments, but after the dust settles, all will see the Jewish High Priest arising from the Holy Temple in Jerusalem with the splendor of the holy garments upon him - a perfect fit.